When did we get so stuffy about applauding at classical concerts? I was at the Proms earlier this week for a wonderful concert by the BBC Symphony Orchestra conducted by Edward Gardner which concluded with Janáček’s mighty Sinfonietta. It is impossible not to be gripped by the waves of sound produced by the vast army of brass in that piece. After some movements people were so impressed they applauded. You should have heard the grumbles which continued afterwards as we were walking down to South Kensington station from the Royal Albert Hall: “It’s not as if it was Tchaikovsky’s 5th” said someone in front of us in a patronising tone that beggared belief. 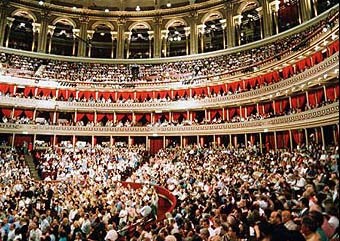 The ‘to applaud or not to applaud’ debate is a constant theme at classical concerts, especially those – like the Proms – that dare to attract people from outside a self-appointed elite. People respond instinctively to something that stirs their emotions. That means they applaud if they are in a concert hall. Does it matter if that applause comes after a single movement and isn’t saved up until the end of the work? I don’t think so. I want people to enjoy and appreciate classical music, to experience the deep personal responses it can provoke and if that means some of them applaud I don’t mind. In fact, like Tom Service in 2010, I welcome it. Many people don’t. Just last week there was an outrageously snobbish, elitist and viciously patronising piece by Michael Henderson in The Daily Telegraph. In it he takes that elitism to new levels by claiming only he and his killjoy ilk are true music-lovers. When did we get so miserable and exclusive about appreciating classical music? And why? It hasn’t always been thus. When the greatest English symphony – Elgar’s 1st – was premiered at the Free Trade Hall in Manchester in December 1908, the conductor Hans Richter brought the composer on stage after the the Adagio, the slow third movement of a four movement work, so insistent was the adulation from the audience. A famous German conductor, an English composer and an English audience. So, when and from where did we import this stuffed shirt approach to classical music? I would certainly like to know so I can send it straight back from whence it came. Don’t think for one moment I don’t appreciate silence in the concert hall. There are times when music that vanishes slowly into nothing becomes even more powerful as you realise sound has seamlessly become silence. Audiences respond to that. Indeed, the very same audience that wanted to applaud between movements during the rabble rousing Janáček were twice held in rapt silence at the end of other works in the same concert, Nielsen’s Flute Concerto and a deeply impressive world premiere of a symphony by Raymond Yiu. Does that qualify them as music-lovers? Or did they promptly disqualify themselves later in the evening? I agree! I think one of the things that deters people from classical music so strongly is the general aura surrounding it. It comes across as for the elite and snobbish, something you should sit quietly and appreciate in sophisticated silence. But it doesn’t and shouldn’t have to be so stifling! « Farron’s Lib Dem dilemma: look left or stay centre?